Tobias Sammet’s all-star collective Avantasia recently released their latest album Moonglow, whose guest musicians include Geoff Tate (ex-Queensryche), Hansi Kursch (Blind Guardian), Mille Petrozza (Kreator), Michael Kiske (Helloween), Candice Night (Blackmore’s Night), Jorn Lande (Jorn), Bob Catley (Magnum) and more. 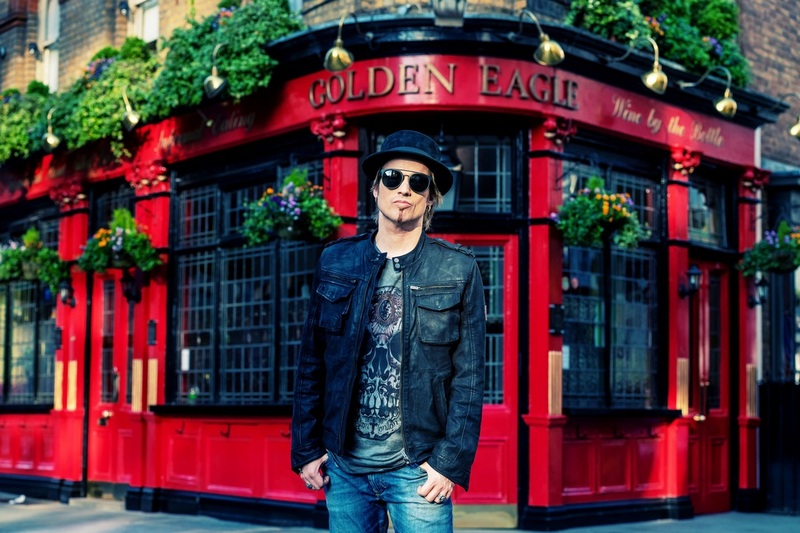 Sammet fills us in on all things Avantasia, along with the status of the next Edguy album. Chad Bowar: What was unique about the songwriting process for Moonglow compared to previous albums? Eight albums in, is it easier to write songs because you’ve been at it so long, more difficult because you have to work to avoid repeating what you’ve done before, or is it about the same? You get more experience. But I never had a problem in writing. If I suffered doing it I would not do it because I hate to do things that I don’t like. You have to allow new elements and influences and work with these as well to avoid that you die of boredom or only repeating yourself. What impact did building your own studio have on this album? Of course it is easier as I can work whenever I feel like doing it without booking a studio and three days later I can go – that takes away a lot of the freshness. But I also love to work with Sascha or in an English castle but one’s own studio has a lot of advantages. What’s the concept of Moonglow? For me it is important to work with ideas that touch me. I liked the world of the classic authors of the Black Romantic. It seemed to be a good frame to tell the story of a person that was put in to a reality but didn’t find the place in there. The person is drawing back into the darkness because there is no place amongst the light of beautiful and the strong ones. Just simply to do with expectations other people have and you can’t fulfill them if you want to go your own way. You’re working with some new collaborators this time around. What led you to Hansi Kursch, Mille Petrozza and Candice Night? Hansi and Mille are friends of mine for more than 20 years. This time, songs and timing fit and I am very happy to have them on the album. When I wrote Moonglow I had a color of a voice in my head and when the song was ready I thought about Candice. I contacted her management, she liked the song and that was it! What led you to cover the Michael Sembello song “Maniac”? It was only fun – nothing more and nothing less. We never had the intention to put the song on the album. But when everything was ready Sascha and I liked it a lot and we took the song and placed it on the album as well. Yes, the number is not in accordance with the concept but here you can see, music should be fun and that’s what it is. What inspired you to write the bonus track “Heart” about Journey? I did NOT write a song about Journey. When Steve Perry announced his comeback I realized how much I love his voice and I thought about writing a song in case I would be working in Journey. Just a spur of the moment. And it was clear it would be a bonus track, I could write with a certain distance and knowing it doesn’t have to fit into the Avantasia concept. Have you heard Steve Perry’s comeback album? You have quite a bit touring scheduled this year. Will you have the same lineup at all the shows, or will there be different guests? Very similar. Geoff Tate for sure (no Michael Kiske) and new female singers, unbelievable voices. You’re playing some U.S. shows. How does the band’s level of popularity/awareness here compare to Europe and the rest of the world? Rather small. It’s not easy for a German band in the U.S. Yes, if you work with people like Eric Singer or Alice Cooper people in the USA would realize as well and we are able to play in bigger cities. You have to live in the U.S. in order to tour on a constant level and make yourself familiar to the fans. I’m 41 now and neither my voice nor my family wish that I’m touring all year round. We will play some shows but I leave the U.S. market with honor to Lady Gaga. No real hobbies. I do work out a bit to stay fit for the tour. I like to stroll through the forest, read, and play soccer on my Playstation as well as listening to music. Def Leppard – Hysteria, Kiss – Crazy Nights, Styx – Kilroy Was Here.